There’s something about a grilled cheese sandwich that begs to be paired with tomato soup. 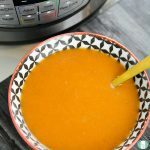 This simple Instant Pot tomato soup is perfect for just that. It is fresh tasting and easy to make. And you can make it ahead and freeze it. That way, your grilled cheese sandwich will never have to go without its perfect mate again! For me, tomato soup and grilled cheese is the pinnacle of comfort food. I especially like a grilled cheese made with Jalapeño Jack cheese, a few slices of avocado, and lots of fresh jalapeño slices. A bowl of warm tomato soup and my spicy grilled cheese makes me want to cozy up in fluffy socks and read a book curled under a snuggly blanket. I’m not one for dipping my grilled cheese into my tomato soup, but some of my kids are. They tell me that this recipe makes a good dipping soup. Place the oil in the Instant Pot on the Sauté setting. Once the oil is hot, add the onion and sauté two minutes. Add the garlic for one minute. Turn off the sauté setting and add in all the other ingredients. Secure the lid and select the Stew/Soup setting for 10 minutes. Allow the Instant Pot to do a natural release. Allow it to cool slightly before putting it through a blender or use an immersion blender to break it down to a smooth consistency. 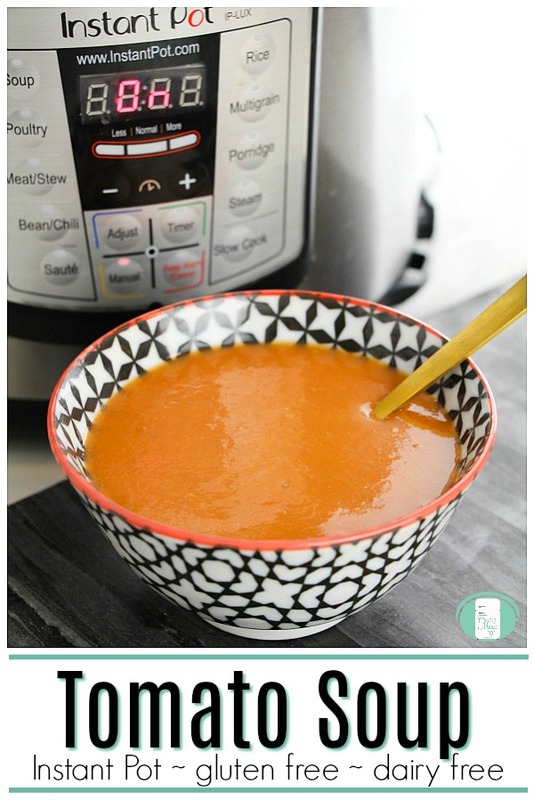 Make the soup in the Instant Pot as described above. Ladle the soup into an ice cube tray or silicone mould. Place the ice cube or silicone tray onto a baking sheet and lay flat in the freezer. Once frozen, transfer the cubes to a large resealable freezer bag or reusable silicone freezer bag. Seal the bag after taking as much air out as you can and freeze. Take out as many cubes as needed and thaw. Reheat on the stovetop or in the microwave. Makes 8 cups of soup. The nice thing about freezing it in the cubes instead of freezing it all in a bag is that you can take out as much or as little as needed. If you’re just making lunch for one person, you’ll only need a cube or two. 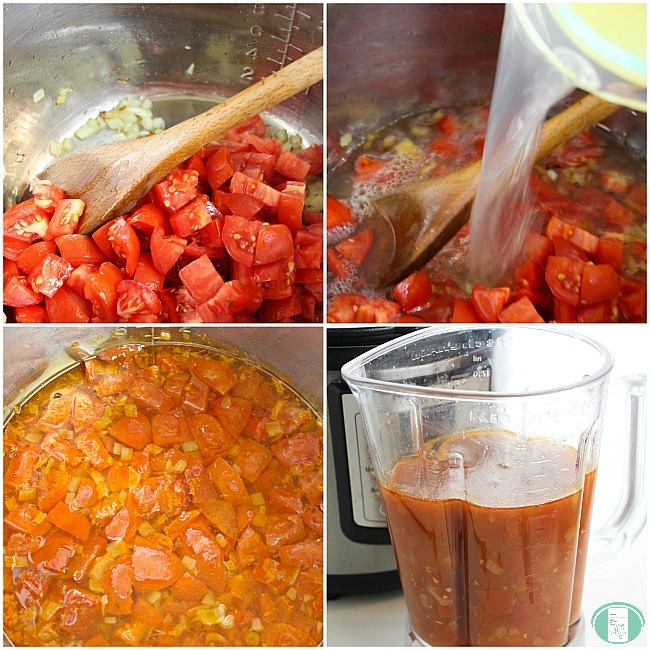 That means that the soup will be ready whenever you’re in the mood for the comfort of grilled cheese and tomato soup! 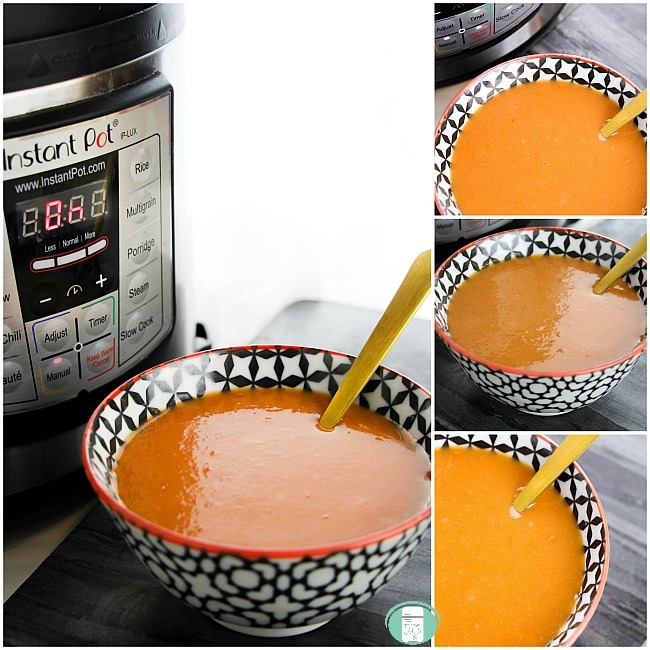 This Instant Pot soup is also gluten free and dairy free, making it very versatile. 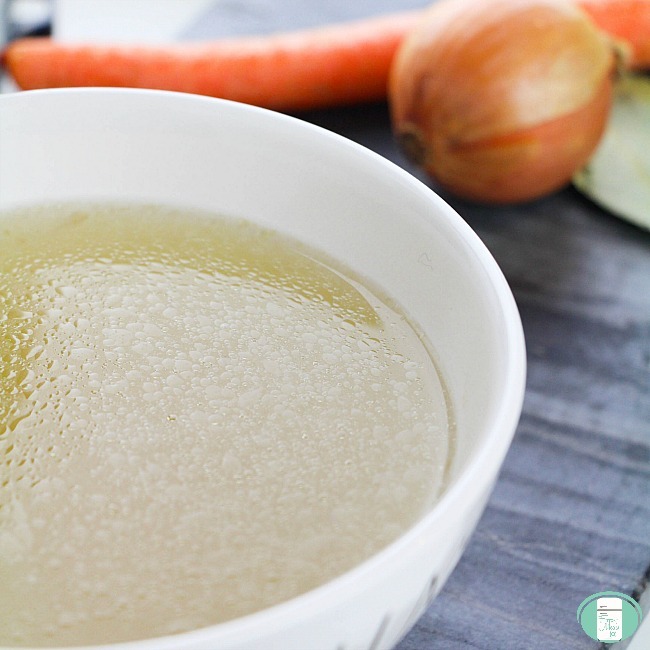 If you use vegetable broth, this soup is also vegetarian. 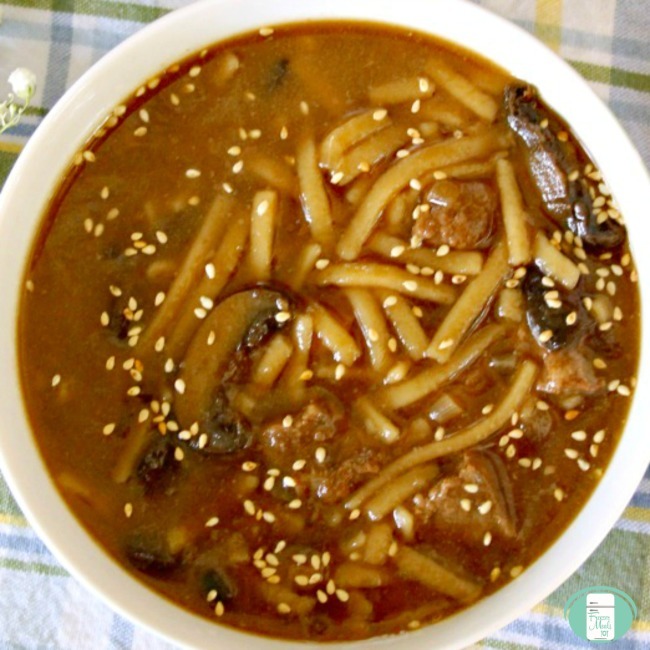 Looking for other Instant Pot make ahead meals? Check out our Instant Pot Freezer Meal plan that includes the recipes plus shopping list, prep list, and printable labels.